Constructed from durable high grade steel, Donracks offers the ultimate solution for electronic LCD racks that are specifically designed to house the LCDs while keeping in mind the weight that it needs to bear to hold these LCD/LED television sets. The shelving for these electronic products is available in differential heights and sizes. The perforated back board is made of steel and is very capable of handling weighty televisions of different sizes and brands on a single plain board. 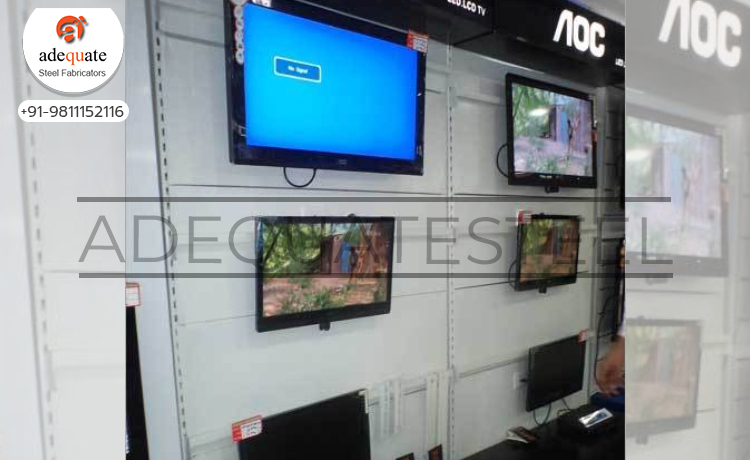 Though it is a common sight to see display of same sized LCDs on these racks in bigger retail outlets, electronic LCD racks can also be used in smaller retail showrooms as the same rack is capable of holding different sized products as well.